No matter what industry you’re working in, it is likely that you’ve edited images at least once. What is the best photoshop free software to make and edit visual content? Without a doubt, it is Adobe Photoshop that was launched more than thirty years ago. This software is still the leader among the best photo editing software. This is the preferred tool for all kind of top web designers. You can make even the craziest ideas through Photoshop. Almost all the graphics designs or video games are created by means of Photoshop tools that is, their brushes and filters etc. Adobe Photoshop isn’t a free tool, but a premium photo editing tool that allows you to do real surprise with your works of art. You can choose monthly payments instead of a single rate. 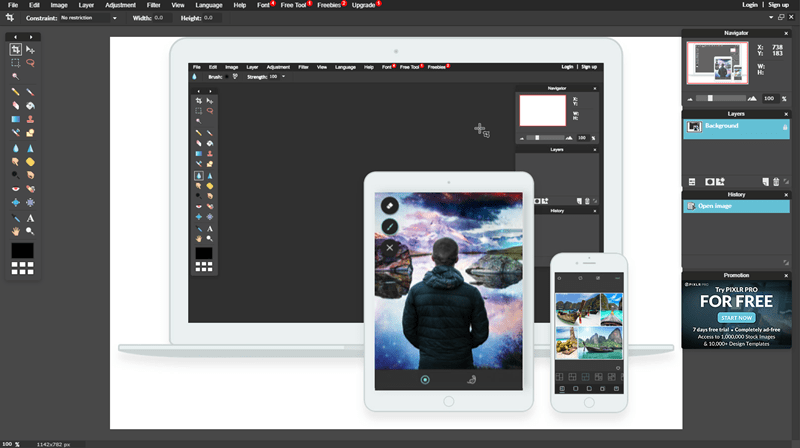 Despite this, if you’re not a professional web designer or looking for a cheaper photo editor that has characteristics similar to Photoshop, then you would have interest on reading about the 5 best free photoshop alternative applications. Each of these applications offers its own sets of photo editing tools that can meet all kinds of your needs. 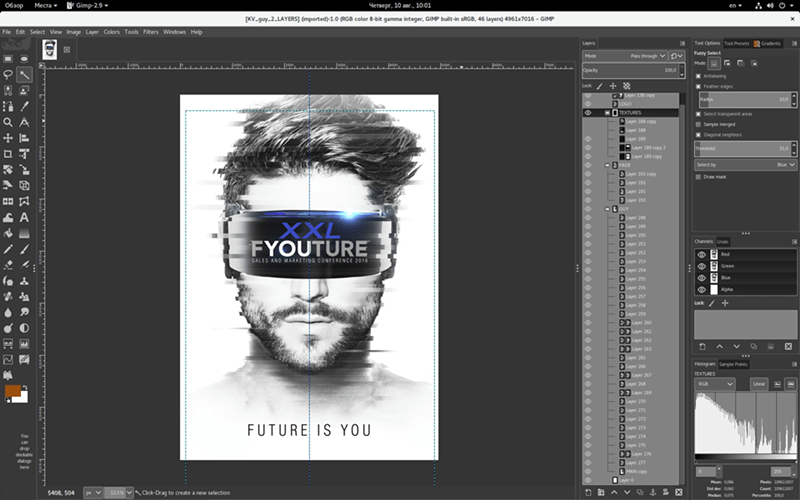 This software is one of the best free Photoshop alternatives that’s available in online. Despite being free, this software is really powerful to satisfy any of your needs. Besides, it comes with fully customizable filters, masks, layers, transformations and color adjustments. There are a lot of pre-installed plugins and script, and some are similar to Adobe Photoshop (for example, Liquify). Through the tools of animation, you can give life to any of your art works. This software is updated periodically and one of the latest updates is offering the possibility of accessing the tool board, menus, and palettes in a window. 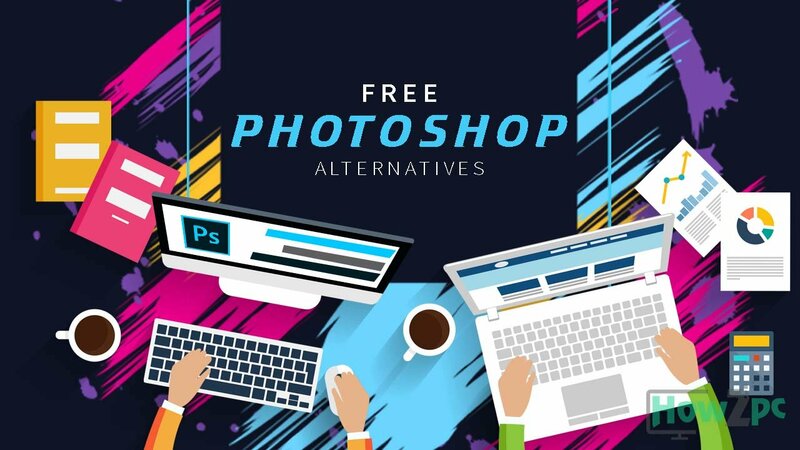 It’s another free alternative to Photoshop. The good thing about this tool is that it could be used by new one or expert designer. However, for the users who’re taking their primary steps for making their artwork through this application, there will have only one-click filter to make photographic objects where viewers can be crazy to fall in love with this. Like Photoshop, the application offers layer masks and layers along with healing brushes and cloning. Besides, there are sets of color refining application, useful scripts, batch editing options, and other interesting features that can help you make visual content like a true professional. Filters, Layers, Curves, Scripts, Masks, Brushes, Effects, etc. Don’t run away even if the name of Paint has appeared in the article, as it’s really old one. It’s really difficult to find such a person who never used it. Paint.net does a tough competition to Gimp. 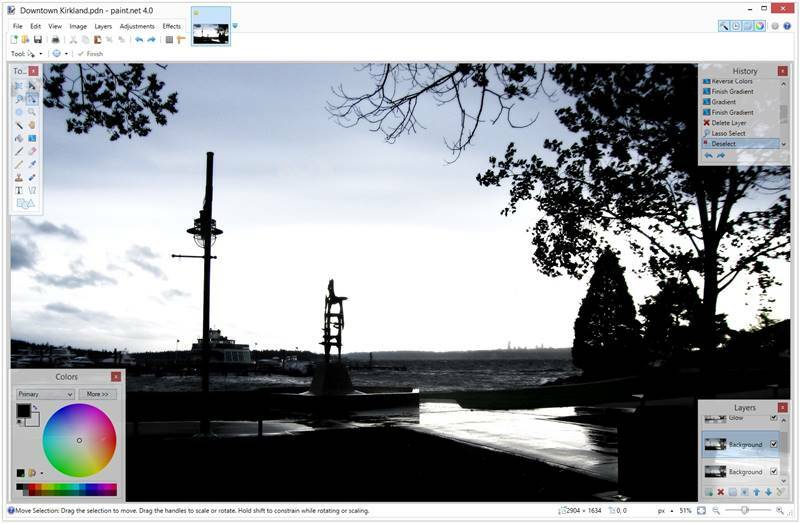 It has a huge variety of plugins and filters that make this editor a good option to consider for any amateur photographer. Go to getpaint.net and download it now for free. With great reviews and a very intuitive design, Paint.net can become your best design friend. As many of you already know, it is a fairly simple image editing tool, although it has enough tools to make the most popular touch-ups and effects. In addition the Paint.NET also has a series of plugins to add new functions to the tool. This is another alternative to Photoshop free that works in the browser. It also brings desktop, mobile and web applications. The software also comes with all the well-known Photoshop tools such as sharpening, noise, levels, curves, blur etc. It also allows you to use levels and options for automatic optimization. The application is compatible with masks and layers. Besides, it allows you to manage various images at once. The Pixlr Editor goes a step further. Along with the filters and standard options (brush, selection, correction), the Editor offers (practically) everything in Photoshop such as retouch images, work in layers, use curves, crop, correct color, etc., to compose a total of more of 25 professional editing functions. The Pixlr Editor is a good digital editing program oriented mainly to images for the web. 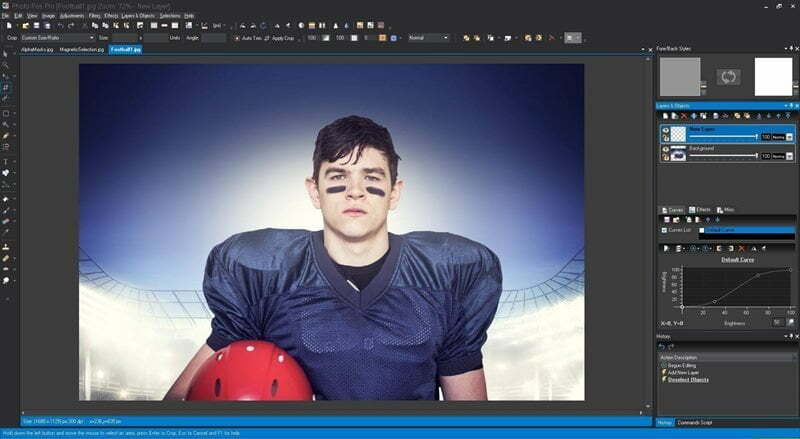 Make photo collages with a mixture of design, spacing and background options. Adjust the color with a single click, thanks to Auto Fix. Work with layers of several photos and even mix them to have a unique and vivid look. Stylize an image to show like pencil drawing, a poster, ink sketch, or something else. Focus on a color with a splash or make an impact on focal blur. Choose between a set of effects packages to provide the image design you want, etc. Here’s another free photo editing software like photoshop. This is a simple application that offers all the basic functionality of Photoshop in a clean and mobile package. The free software is compatible with Windows, Android, and iOS. Adobe Photoshop Express is one of the simplest tools among all those listed on this page. Its minimalist design has been specifically developed to work seamlessly on touchscreen devices. 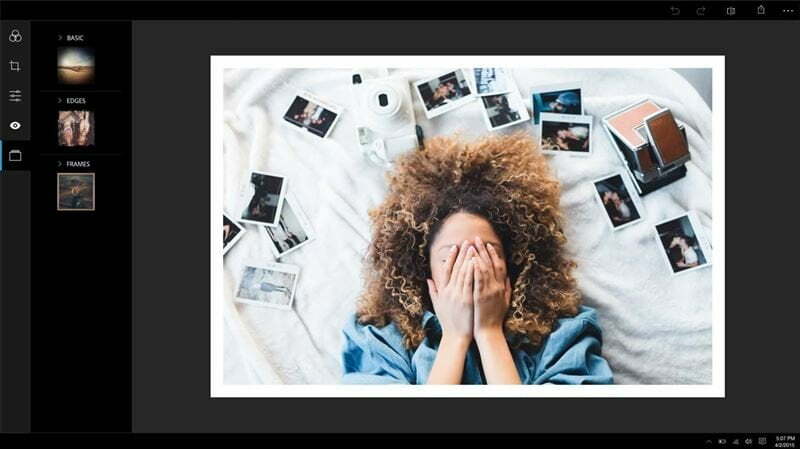 It allows you to adjust the contrast and white balance of photos by means of sliders and automatic options designed to make simple adjustments with a single click. This freebie can help you create original works of art on your touchscreen and improve the results you get on your PC or share images through Facebook. Free Photoshop alternatives are good, but paid ones are better – you have free updates and a qualified tech help. Let’s say PhotoWorks – it’s not that pricey as Ps, but nearly as powerful. Besides, you purchase a license once and use the software for ever.